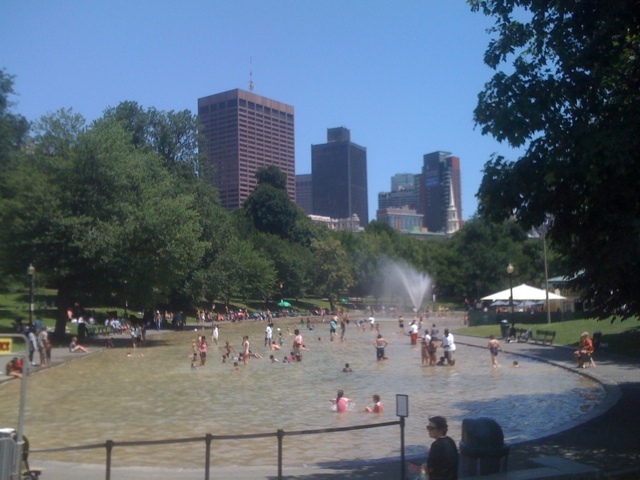 At the Frog Pond in Boston Common. I took a stroll on my lunch break and snapped this photo, just a couple hundred yards from my office at the Unitarian Universalist Association headquarters. Looks like a good time.